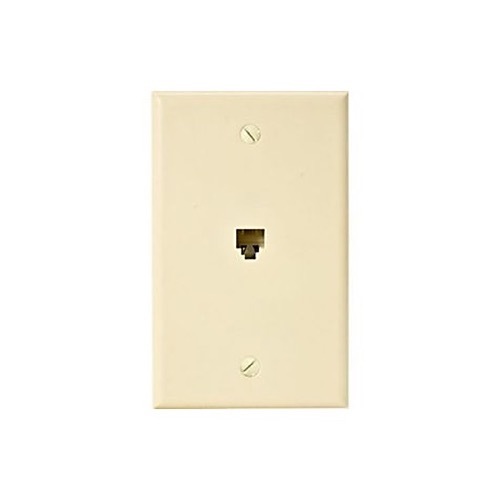 Leviton wall phone plate, Ivory. For new installation of flush mounted modular jack or replacement of previous phone jack. Includes jack, plate, and mounting hardware. To install wall- mount phone fit standard outlet box.